1. Learn to depend on Him: Don’t call that friend, turn on the television or go to the mall to make yourself feel better or be around people. If you try to numb, ignore or tune out your loneliness it will most likely still be there after you get off the phone, the TV show is over or you finish shopping. Instead, work it out with just you and God, pick up your bible or read your bible verses that you wrote out for times like these. 2. Have an attitude of gratitude: I know that this is quite cliché, but it works wonders! When you focus on the things that are right in your life you don’t have much time to focus on what’s wrong. The majority of the time you will realize you are more blessed than not. Even though you may not have a significant other at this time, there may be other people that God has placed in your life to love on, so be grateful for them! 3. Get it out: Allow yourself to feel the frustration of loneliness, cry, write about your feelings and pray to God about your situation, then get quite before Him and listen for a response. Give your loneliness to God; He knows how to heal your brokenness. 4. Adjust your focus: God tells us to focus on things eternal and not seen (2Corinthinans 4:18), in the long run those are the things that will prove to be important. Instead of focusing on us and what our flesh wants in the right here and now, focus on why God may have you in this situation to benefit the kingdom. Could it be to have time to help others, volunteer, start or help in a ministry, write a book or just to become a better you? 5. Think of the alternative: In my times of loneliness I think of what my life could have been like had God given me my hearts desires in the past when I wasn’t ready. For me, I could have married my first boyfriend but I’m quite sure it would have been a horrible marriage. Think of the ways God has saved you and what He kept you from instead of focusing on what you believe He may be withholding. He wants you happy and you deserve the best, His best. Hopefully, you believe that’s worth the wait. 6. Feelings are fickle: Realize that what you feel is just a feeling and most feelings are fickle. Usually, most feelings soon leave for another. You won’t feel this way for the rest of your life, maybe even the rest of day. Rely on what you know to be truth, that God is not a man that he will not lie and that he fulfills His promises (Numbers 23:19). Know that this too shall pass. 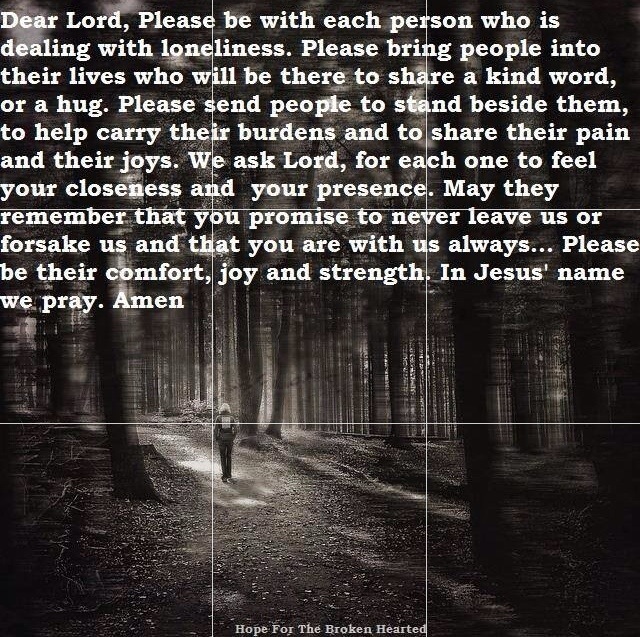 I truly hope this helps someone in their time of loneliness! Jeremiah 17:9 – The heart is deceitful above all things, and desperately sick; who can understand it? I write this with tears in my eyes, because I truly do long to hear the sound of tiny feet running down the hall and have a wonderful husband to snuggle up with on nights like this when storm clouds are forming in the sky. But I have to learn to accept my portion in life at this time and be content with all the beautiful things God has given me. In times like this, I have to make an effort to remind myself that I have a wonderfully family, supportive and loving parents, great dogs, a freedom in life that I truly enjoy and a bed all to myself! Usually after saying a prayer and focusing on the things I love about my life I feel sooooo much better. In the past I have been in a place where I allowed the fog of loneliness to linger and I know that if it does it will draw me in more and more until it becomes despair and eventually depression. I have to believe in God’s promises to me, he promised me anything that I ask, if I believe (Matt 7:7). One thing I have learned through my studies is that God wants to capture our hearts more than any man in this world. He doesn’t want us to hurt, be lonely or sad in the time He is taking to mature us past this point but there may be some growing pains. Fight through it and trust in Him. My advice is to get verses of scripture that can speak to your heart in times of loneliness. Write them on note cards or save them in the notes section of your phone, as long as you have them on hand when the time comes. One of my favorites is Proverbs 3:5-6. From my experience, if you make God the love of your life, you will love this life so much more regardless of your relationship status! Have you ever been at a point in a relationship where you just wanted attention? And I mean ANY type of attention from your mate even if it wasn’t positive. Or have you let your emotions get the best of you and said something just to cause a reaction from someone else? Well, I have and to be perfectly honest with you, I have done it in all of my relationships. I have only had three seriously committed relationships in my years here on earth, but they have all been eye opening experiences. With each relationship I learned something new about what I want from a man, my desires for the type of relationship I would like to have and most importantly new things about myself. One thing I realized or rather accepted is that I was acting like a spoiled brat sometimes! In relationships, I often wanted things my way or the highway! If you didn’t have time to talk to me or were taking too long to get back to me, I would get upset and pass that anger along in a mean or condescending text. If there was something that I wanted to do that conflicted with what my partner had planned I would be upset and try to make him do what I wanted. It was a very unhealthy way of life for both of us and ultimately I’m sure my selfish and bratty ways helped to place a divide between us. I have grown enough to recognize this as one of my flaws and as God continues to reveal more of my fleshly ways I am able to humbly ask him to change my life from the inside out. I truly want him to create in me a new heart and renew a right spirit within me because one day he will send my earthly husband and if I act the way that I have in the past that man will flee with the quickness! When we ask God to change something within us (or for anything) we have to have faith that it is done, so I thank God today for changing my heart and making me into a more mature godly woman. There also must be no doubt or double-mindedness in that faith (James 6-8) and we also must begin to operate as changed women. Faith without works is dead (James 2:14-26), we must act upon what we know which means using our self-control at times when it’s hardest. 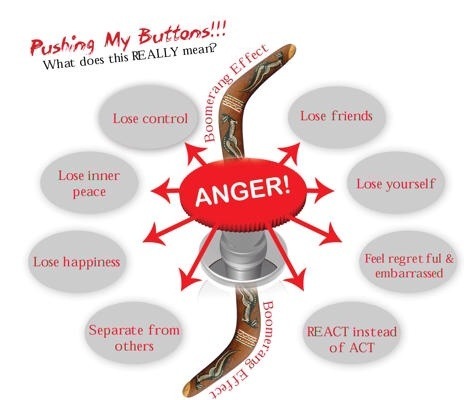 It can be quite difficult not to push someone’s buttons especially when they are so close to you that you know exactly what buttons to push to get the reaction you desire. It isn’t that we won’t feel that anger or need for attention bubbling up inside us but as mature women in Christ we put away childish and manipulative tactics (1Corinthians 13:11) and begin instead to build our houses up as wise women do (Proverbs 14:1). It takes a lot of will power, discipline and reliance on God (at least for me) but it’s well worth it in the end when you are able to recognize that wonderful growth through God within yourself. I long to hear from the Lord and to have a much deeper connection with my heavenly father. I know people that say they can hear God speaking to them about certain situations in their lives and I want that for my life as well. Recently, I was very upset and saddened by falling apart of a two year relaionship, to say the least I was heartbroken. I desperately needed to hear from God and to know his will for my life. I began a fast as I knew that somethings will only come about through prayer and fasting. 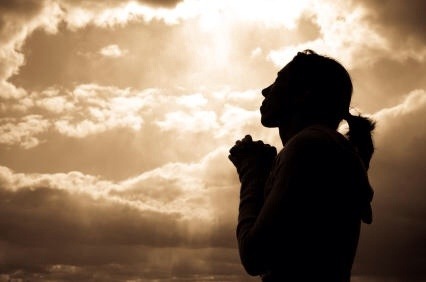 (Matthew 17:21) Although, I did not hear an audible voice during this time of fasting and prayer I felt closer to God as I shut out the rest of the world and focused on Him. At the end, I didn’t want to stop! I would recommend fasting as a means of removing yourself from the world, shifting your focus onto Him and relying on God to fulfill your desires. I am still on my journey to hear from God and to recognize His voice beyond a shadow of a doubt because I know he speaks to me, I’m just not sure that I am listenting. In the bible there are many pepole that fasted, but during my time of fasting I thought a lot of Ester. She fasted for three days before a huge, life altering decision that if gone wrong could have ended her life. In no way was I fasting for an answer to a life or death situation, but I was still seeking answers. One thing the fast showed me was the fact that I had to trust in God and rely on Him, in times of hunger and wanting to give up I leaned on and trusted in Him to feed me through his daily bread, His word. 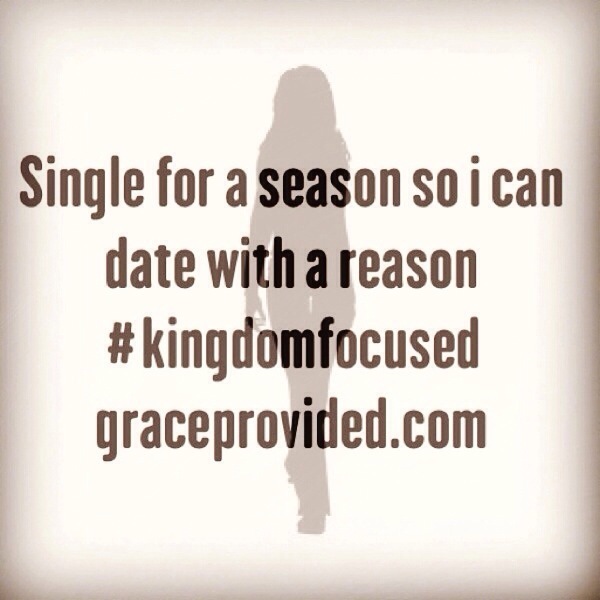 (Deut 8:3; Matt4:4; Luke 4:4) During my time of fasting I also began to thank God for my heartbreak ironically! Because if it hadn’t happened I never would have relyed so heavily on His word, during this small trial. James says to count it all joy when we go through trials and temptations for through faith in God those difficult times mold and deveop us into more patient and whole people. (James 1:2-4) One more awesome thing occured during my time of fasting, I had a dream where I was told to go to christian.org. Prior to the dream I had never heard of the website and now this is where I begin my journey into blogging and online journal that I hope through God’s saving grace will be of help others! Psalms 51:10 – Create in me a clean heart O God and renew a right spirit within me.